Fort Whoop-Up programs are only available from May 7 to June 30. This program begins with a tour of the Blackfoot Gallery to learn about the lives of Indegious people who lived in this area before the Fort was created. Imagine what it was like to live and work in the Fort by touring our recreated rooms. Explore Indian Battle Park by horse-drawn carriage. Wagon rides are an additional $50 per class. Test your knowledge by identifying different furs in the storage room. Try your hand at some traditional Blackfoot games. 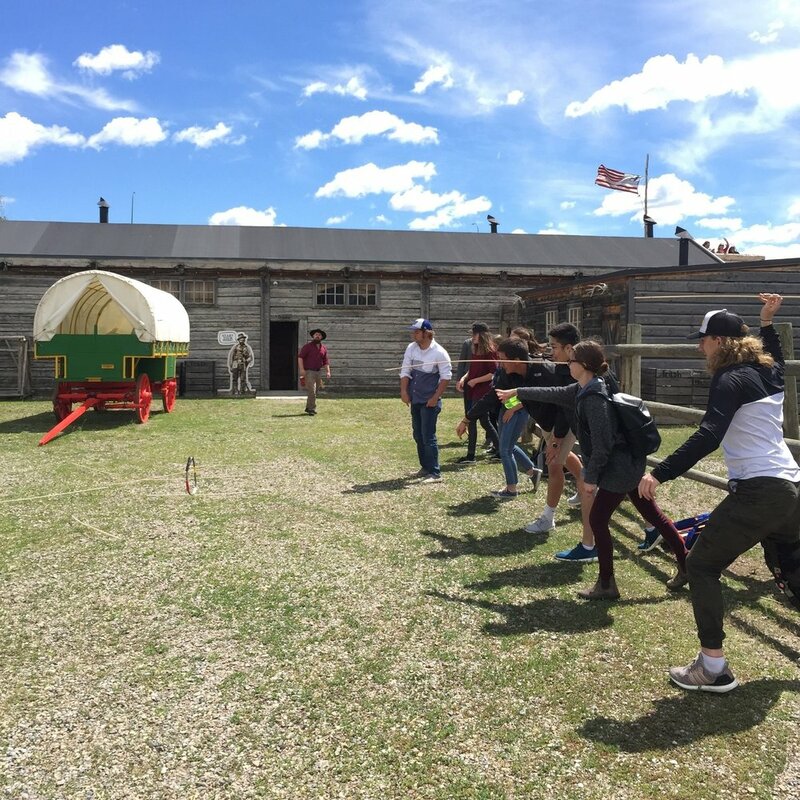 Learn about the traders, Indigenous people, Metis and NWMP who worked and lived at Fort Whoop-Up after it was constructed in 1869. 2.6.2 What were the reasons for the establishment of their community (e.g., original fur trade fort, original inhabitants)? 4.2.2 Which First Nations originally inhabited the different areas of the province?